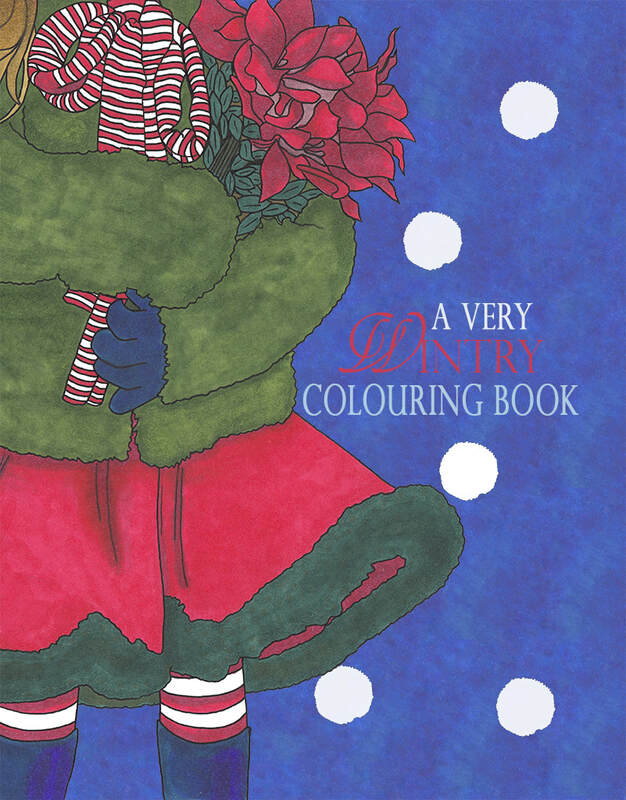 Just in case you haven't figured it out from the post title, A VERY WINTRY COLOURING BOOK is NOW AVAILABLE! Guys, I had so much fun creating this colouring book filled with wintry goodness. Yep, every picture depicts something I love about winter, and I'm really excited to share them with the world. To purchase your very own copy, or to grab copies for Christmas gifts (because it would make an AWESOME gift), simply click on one of the links below. I've been mentioning creating a colouring book edition of the much-loved Pink Hair, Blue Hair children's story book, and after much deliberation and alterations, I'm proud to finally say that the Pink Hair, Blue Hair: A Story Colouring book edition is NOW AVAILABLE! Now all of those delighted children who loved the original can now own a copy they can fill with their very own colours. PINK HAIR, BLUE HAIR: A STORY COLOURING BOOK is available NOW! After months of drawing mandala after mandala, this latest addition to my colouring book range, ﻿MANDALA MAGIC﻿, is NOW AVAILABLE! Man, I really love the bright zinginess of this one. And what's more, there's no wait. It is already available on both Amazon US and UK (soon to be available via B&N and BookDepo), so go ahead and grab your copy today. Or more. Put them away for Christmas. Everyone loves a good mandala book, after all. Good news! Enchanting Elves released TODAY and is now up for grabs over on Amazon and B&N.